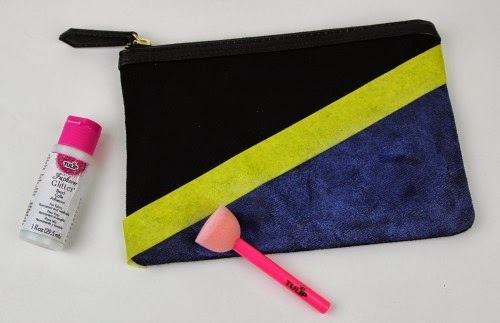 A black clutch should be a staple in every girls wardrobe, but no one ever said that staples had to be boring, did they? 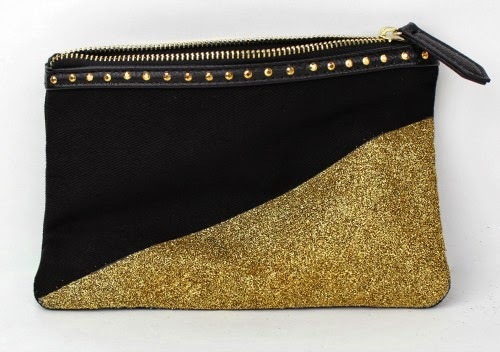 This gold dipped glitter clutch is definitely not boring, but I would still consider it a staple. It is functional and fabulous at the same time; Perfect for everyday use as well as a night out on the town. 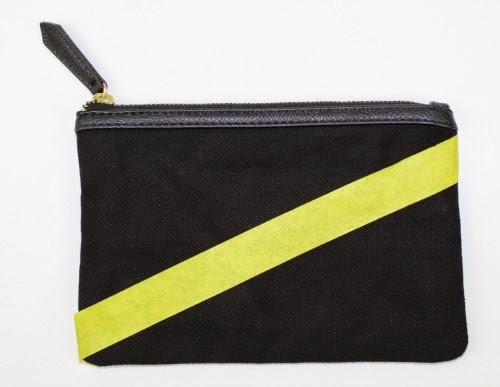 Step 1: Place a strip of painter's tape across the clutch on the diagonal. If you want your "dip" to straight across, then place the painters tape horizontally. Step 2: Using the sponge pouncer, apply an even coat of Fashion Glitter Bond on the section below the tape. The pouncer is great for this! Step 3: Add Glitter! And lots of it! Sprinkle loads of glitter on the the section with the wet glitter bond. Be sure to save the excess glitter when you shake it off. We don't want any glitter to go to waste here, not even one speck. Remove the tape after this step. Step 4: Place a row of Iron-On Studs along the top edge of your clutch near the zipper. Set them in place with the Cordless Heat Setting Tool. This thing works like magic- literally. Step 5: Following the same process, cover the zipper pull in Iron-On studs as well for even more of a rocker look! 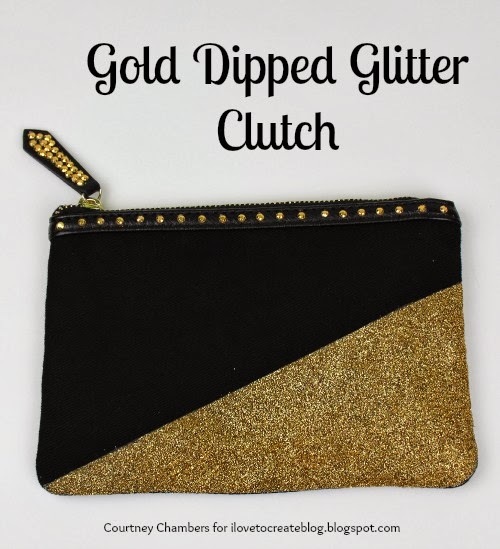 Now that is one sparkly and trendy clutch, if I do say so myself. 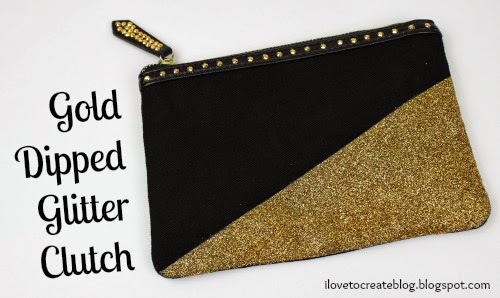 I hope this post has inspired to you look at basics in a new way and maybe even rummage thew your old accessories and give them a new life with a touch (or boatload) of glitter! For more tutorials like this stop by my blog A Little Craft In Your Day. how well does the glitter stay on?